I can't be the only person who multiple times a day thinks, "Am I spending too much money?" I know I'm not the only one who walks out of Target thinking, "I spent too much money." Being a Brandefyer means I know I can save with generics. At this point, I've tested hundreds of generics, and the ones I like, I use regularly. Despite the fact that about half the products in my cabinets are generics, I decided to challenge myself. More specifically, I decided to challenge the name brands I still purchase regularly. Enter: the 30 for 30 challenge. For 30 days, I traded 30 name brand products for generics. Before I could get my products, I had to brainstorm on what products I use every day. This meant taking a close look at my schedule and how I care for my household. I'm a homeowner, no kids yet, one golden retriever fur baby, a relatively healthy eater, and have some of the most sensitive skin on the planet. I broke my purchases into categories based on places in my house: Shower, Sink, Vanity, Supply Pantry, Pup Space, and Kitchen. What this really breaks down to is Health & Beauty, Household Cleaners/ Paper Goods, Doggie Supplies, and Food. In the shower, I traded Biolage Hydrasource shampoo and conditioner for Berkley Jensen Moisture Infusing shampoo and conditioner. While I thought the shampoo was a great dupe (81% similar), I would not make the switch on the conditioner (only 50% similar). My new resolution is to buy the store brand shampoo to save and splurge on the Biolage conditioner. As the resident sensitive skin person at Brandefy, I wanted to find a good dupe of the Dove sensitive skin body wash. Unfortunately, the Publix version did NOT measure up at 54% similar. I won't be risking a rash to save money. Finally, in the shower, I traded the Aveeno calming bath treatment for the equate version. I slightly preferred the smell of the Aveeno, but if I were on a money-saving month, I would definitely make the switch to save. Most of the items at the sink proved to be winners. I would trade Neutrogena SPF 100 sunscreen for Walgreens (90% similar) and TopCare's version of Cetaphil face wash (91% similar). The stress of everyday life had me breaking out along my chin this month, and I found some less expensive ways to combat that. I found the Well at Walgreens version of the Clean & Clear Persa-Gel 10 did the trick and also used the equate version of Clearasil acne wipes to control the pimp daddies that were rising up (ugh). The one thing I would not use post-shower is the TopCare version of Cetaphil's moisturizing cream. The texture was way different, and I much preferred the luxurious feel of the Cetaphil. To cover up my zits while waiting for them to shrink, I grabbed the Ulta Beauty liquid concealer. I had heard this was a great dupe of the Tarte Shape Tape concealer, and I was excited to try it out. It had a similar hold and color to the Tarte, but was not as thick. At 68% similar, I would switch if pinching pennies. 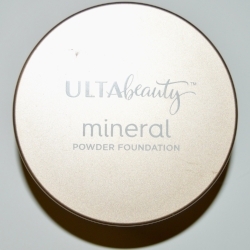 I felt similarly about the Ulta Beauty mineral powder foundation. I've been using Bare Minerals for years, and while I liked the texture of both foundations, I felt Bare Minerals blended better with my skin. I'd make the switch if cutting back. I did find a great dupe of Glossier boy brow. The Ulta Beauty version is 81% similar and did a great job holding up my Brooke Shields brow (at least that's what I'm going for). With my body and face clean and shiny, it was time to focus on making my house look that way. Lord knows I try. The Great Value dishwasher packs were 75% similar to Cascade and did get the job done, but I preferred the overall shine of the Cascade. For the rest of the cleaning products, I used Target's up&up version of leading brands. The only one that impressed me was their version of Bounce dryer sheets. I felt they beat out the name brand and left my clothes soft and freshly scented. I was not impressed by their version of Lysol counter spray (50% similar). Their versions of Windex glass cleaner and Lysol toilet spray were simply fine. When I think of generic toilet paper, I think of sandpaper. No thank you. I was pleasantly surprised by the softness of Great Value's toilet paper. The one downside was it shed a little bit during use, and I preferred the clean of the Charmin. What can I say, I am a TP princess! I was completely unimpressed by Great Value paper towels. They were not durable, nor did they absorb well. I did like the Great Value version of Hefty garbage bags. They held up well to the stress test and smelled nice. This is a great place to switch to save! For my pride and joy, Parker Pup (pic below) I want to make sure I give him the best. He's a golden, so he requires a lot of grooming. Like his mamma, he also has sensitive skin. I picked up Petco's Well & Good shampoo as well as their deodorizing wipes. The Tea Tree shampoo is 68% similar to the John Paul pet shampoo. They both smell fantastic, but the name brand is not as thick and was easier to rinse out. I tested the wipes against Nature's Miracle brand and would NOT make the switch. I much preferred the texture and smell of Nature's Miracle. One swap I will be making for my pupper is from Greenies dental treats to the Kirkland Signature version. I liked that the Kirkland Signature is grain-free. Parker liked the taste as well! Photo Cred: Rebecca Thornton Photography. Yes, I have professional photos of my dog. Coffee is life. A few of my food purchases centered around this mantra. I preferred the strong flavor of the Donut Shop K Cups to the Great Value version. The Kroger Simple Truth Organic coffee creamer in sweet cream tasted just as good as the Coffee-Mate Natural Bliss. I also enjoyed the Simple Truth Organic Almond milk. What better to dip into dairy-free milk than an Oreo? I tested cookies with my nephew and he couldn't tell the difference between the name brand and the Kroger version. The Kroger version of Chips Ahoy missed the mark, but at least we found one cookie we could save on. I also snacked on some dried cranberries from Kroger and found them to be 88% similar to Ocean Spray. Last but not least, I preferred the milder flavor of Kroger's Private Selection basil pesto to Classico. I love putting pesto on just about everything! We've got more 30 for 30 with Brandefy on the way. Comment below where you like to switch to save, and where you stick to the name brands. For more product reviews, check out the Brandefy app and shop confidently.